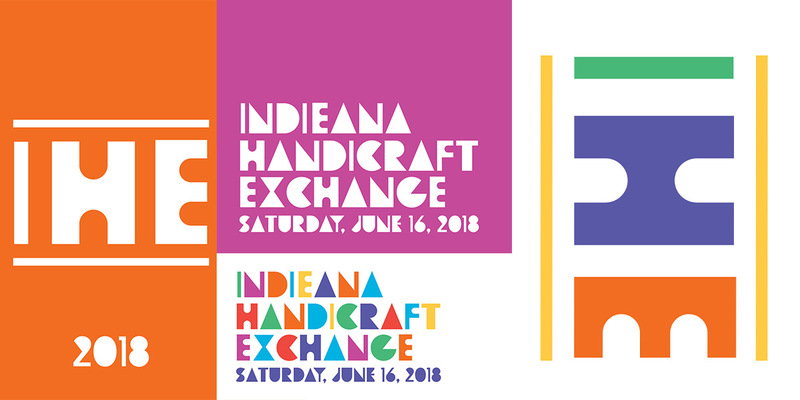 INDIEana Handicraft Exchange 2018 Summer Show! Our Vendor Application for our 2018 Summer Show is now closed. If you are interested in selling at future Handicraft Exchange events, please add your name to our mailing list here and you will receive an email notification when applications for upcoming events are available. 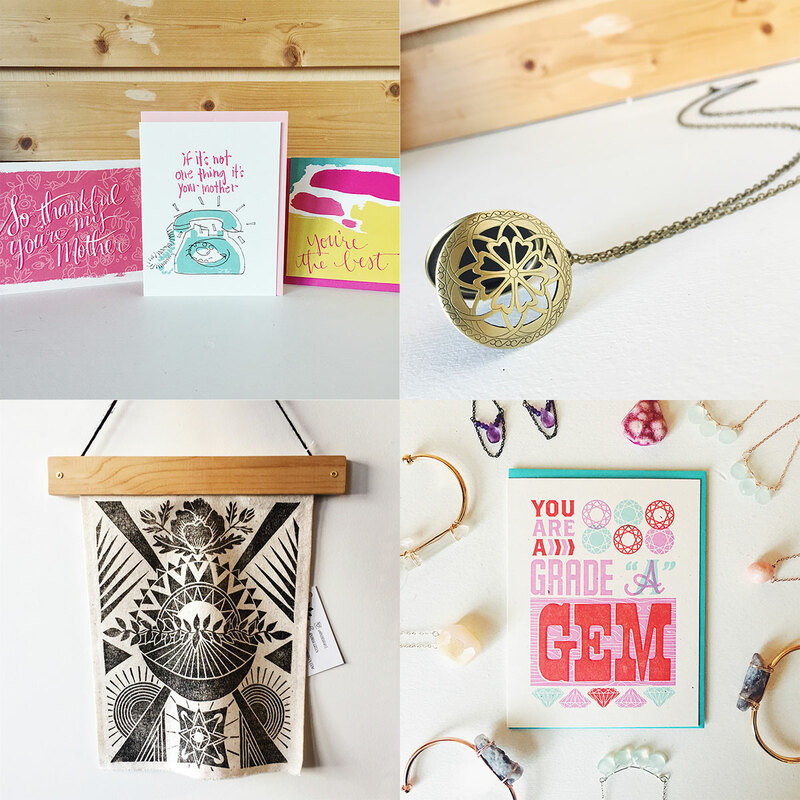 ICYMI May 18, we’ve got new jewels in store, t-shirts, bath and body products, and, just announced, – a new Crafternoon date for June! Read on to get the handmade lowdown and find out how to get tickets to our next class! 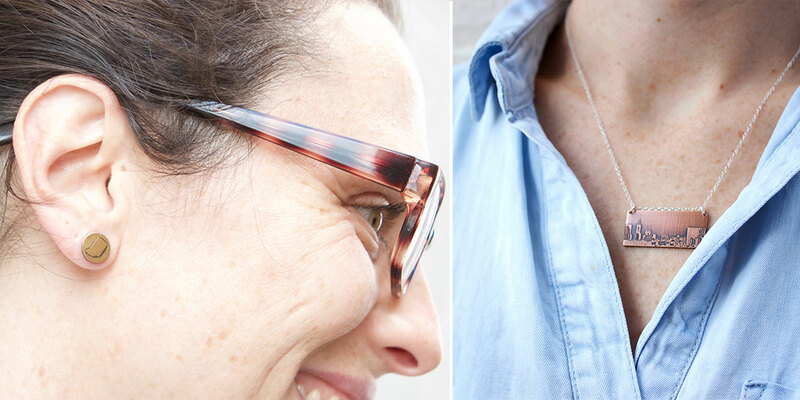 We’ve got new jewelry pieces for effortlessly cool summer style. 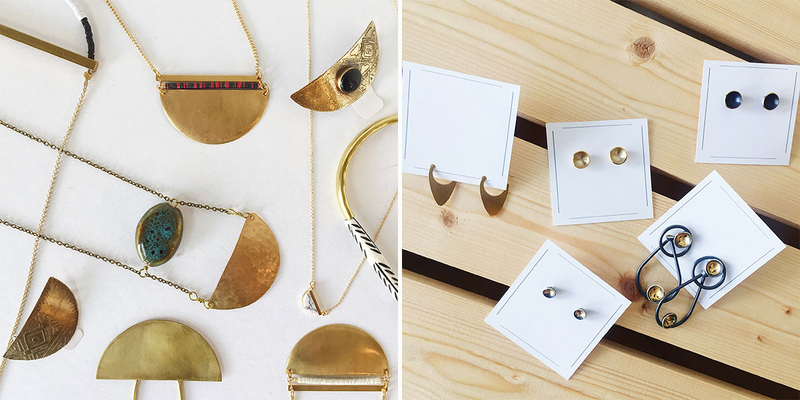 Half moon necklaces, hair combs, and pins offer art nouveau style, while contemporary embellishments of stones and crystals bring it back to the present. 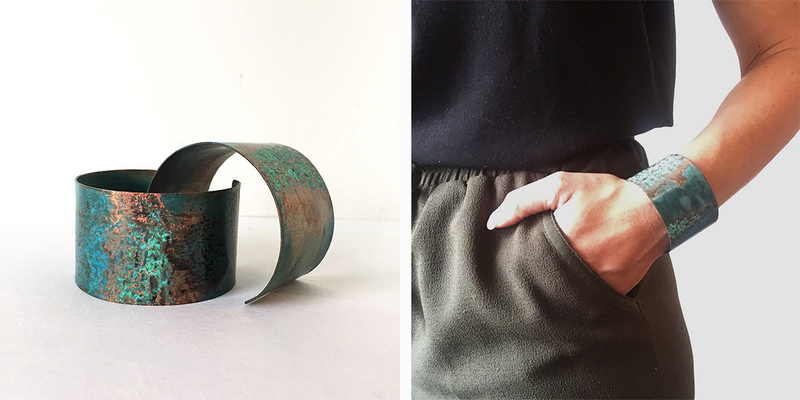 A restock from Redbud Jewelry boasts new earring designs and patina copper cuffs that are our new summer staple. And if you’re looking for some race-day wear, we suggest the minimal Indy and Indiana designs from Crave Jewelry. Available in multiple metals in store! If you’re like us, you’ve been itching to get your hands dirty in those flower beds. May we suggest checking out this great article from Indiana Native Plants and Wildflower Society? There are some wonderful ideas and alternatives to non-native species to plant that help our local bee population thrive! 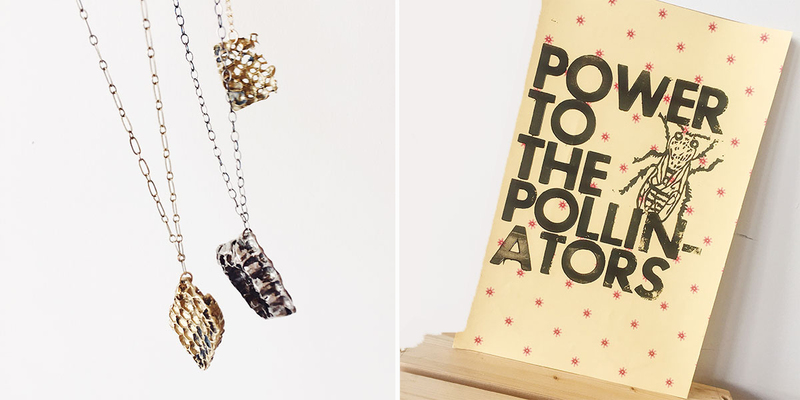 And if you’re all about those bees, check out the honeycomb necklaces above. And that pollinator print is the only one in stock! -Hurry in bee lovers! Teehaus Bath & Body has sent us the restock of all restocks. 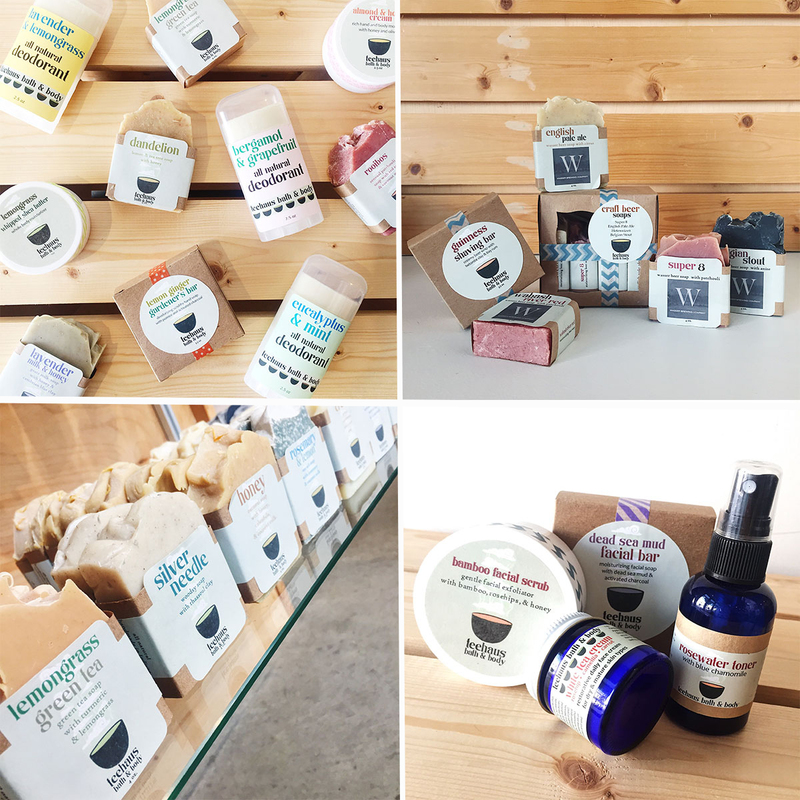 If you’ve been on the hunt for natural deodorants, soaps, or even an all natural facial-care regimen, Teehaus has it for you. And Father’s Day is just around the corner, give Dad the gift of beer soaps and Guiness shaving bars. All Teehaus products are made with natural teas, essential oils, botanicals, and local honey to give your skin everything it needs, without the things it doesn’t (like chemicals). 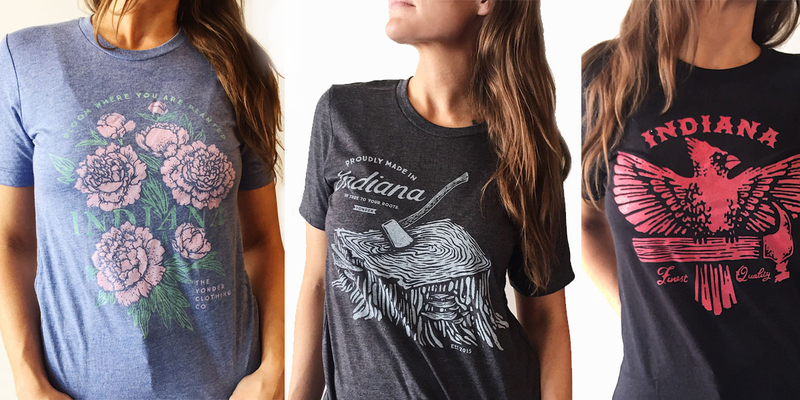 Local artist, Yonder Clothing Co., has restocked us with some of his most popular t-shirt designs, like the Indiana peony tee. With a full size run currently in stock, get here quickly before these beauties sell out (again)! Back by popular demand! We’re hosting another Crafternoon: Tassels & Tonic! 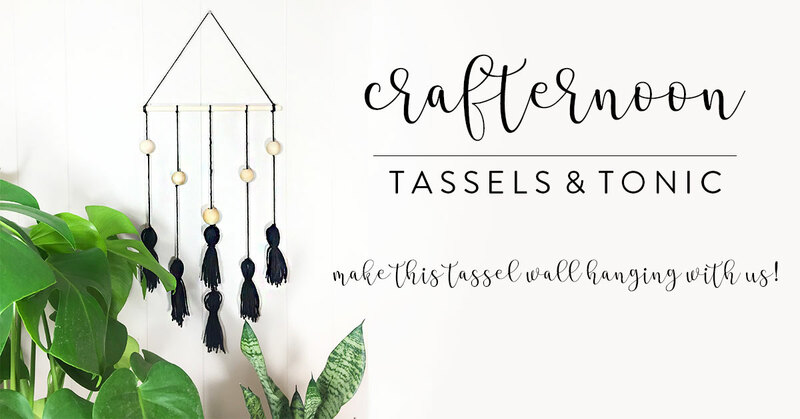 On Saturday June 9th from 2pm-4pm, we’ll be making a tassel wall hanging complete with wooden beads! You’ll have various yarn colors to choose from and you’ll be guided during the project by our own Operations Manager, Amanda Dowdal. Click here to get your tickets! Thanks for checking out our ICYMI May 18 digest of all things new in store! We hope to see you out and about on the Avenue this weekend! Have a happy, handmade day! 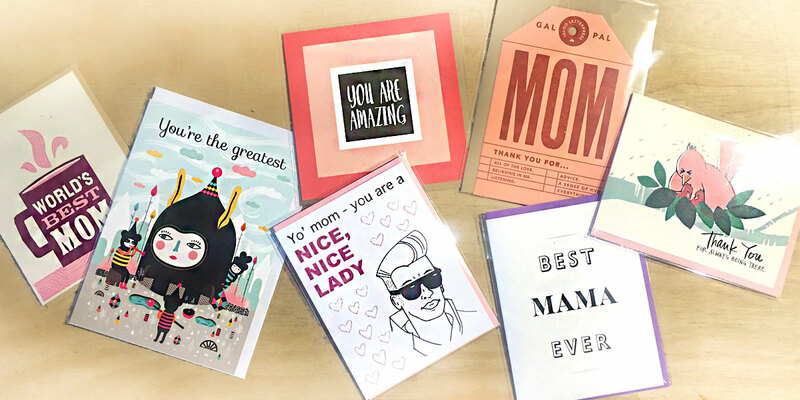 ICYMI May 11 – you have only 2 days to get your Mama something special! From cards to bath and body to housewares, let us help you find the perfect gift! If you’re waiting until the last minute, we do have free parking in the lot behind our building! Lot free parking hours are Monday – Friday after 5:30pm, and all day Saturday and Sunday! Is Mom a book lover? We just received new stock of Indy Writes Books, an anthology of over twenty Indiana authors writing about their love of books. Proceeds from the book go back to Indy Reads! If Mom is a planner and list-maker (aren’t they all? ), we have a plethora of notebooks, planners, and calendars (20% off!)! For the plant-Mom, a vase from new artist Courtney Zimmerman would be a beautiful addition to her planter collection. New Weatherbeard solid colognes are sweet and spicy combinations suitable for both men and women! Passing down recipes is a tradition for so many families. Help continue this tradition for Mom with a recipe card set! 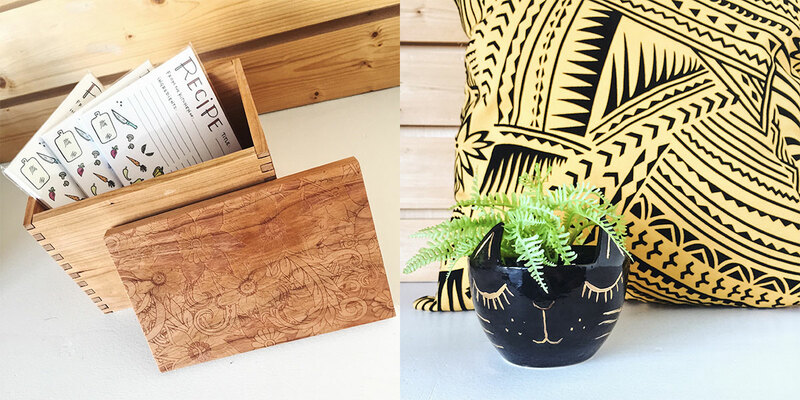 Complete the gift with a handmade, carved wooden recipe box! Multiple designs are available in store. New pillows from Donetta’s Designs and black kitty planter from Muddy Heart were made for the decor-driven Mama. When we think of summer, we think grilling, tank tops, and events. Up your barbecue game with restocked goods from Batch No. 2. From Curry Catsup to Blackened Cajun Mustard, your burgers will be second only to the beer. Tanks and summery tees from People for Urban Progress, Megan Lee Designs, and Home Town Riot have hit the shelves! Only select sizes and quantities in store, so get here quick! Let your dress be the only thing you have to worry about this wedding season. Find cards for all couples and distinctive gifts for the new nuptials or even your own wedding party in store! Summer in Indy means all the outdoor events, and we can’t wait for one of our favorites – Indy Pride! That’s our last Pride calendar in store too, come claim it before it’s gone! 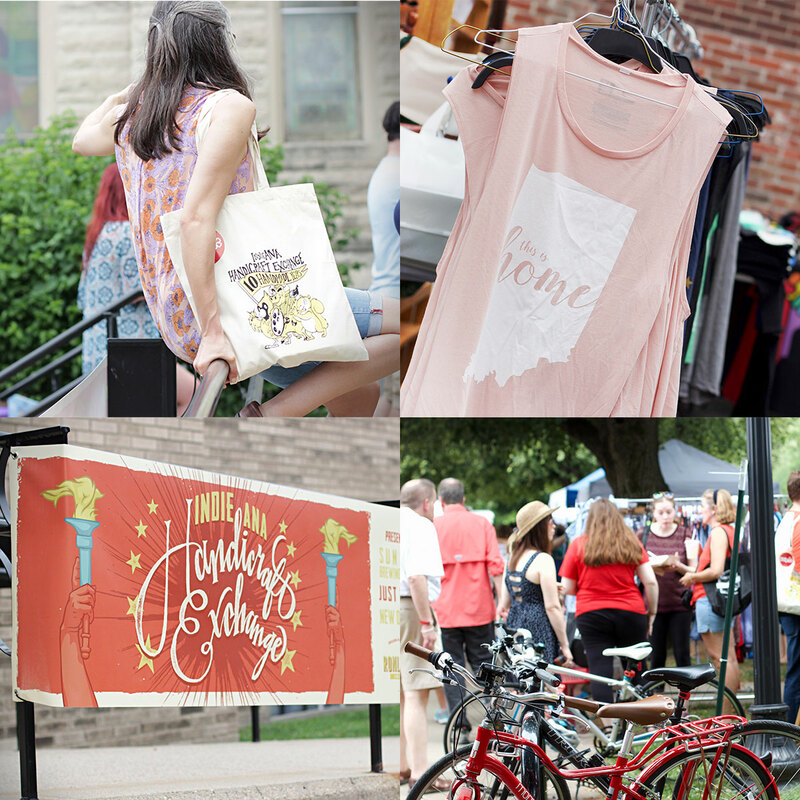 Speaking of events, don’t forget our INDIEana Handicraft Exchange Summer Show on June 16th! 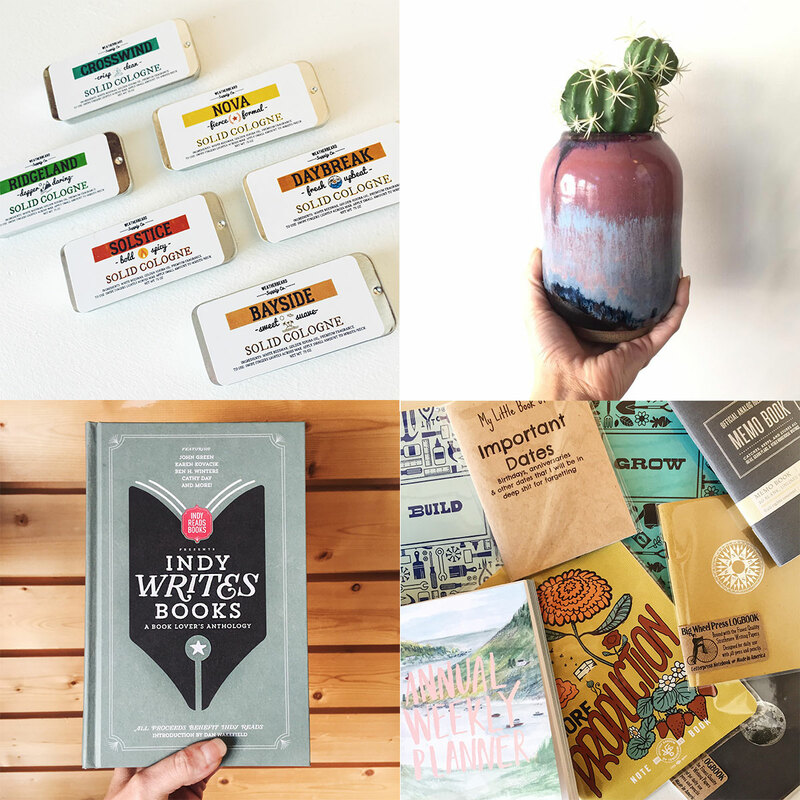 From 12pm – 8pm at Harrison Center for the Arts, find 100+ artists and makers slingin’ their handmade goods, live bands, beer, and food trucks! First 100 people in line to check in with their Yelp! App receive a FREE SWAG BAG! For more information and to see the vendors selected for the show, go here. Happy Mother’s Day to all those Mamas out there! It’s ICYMI May 4, and no, we don’t have any Star Wars puns lined up for you, but we are here to show you all the new product in store. 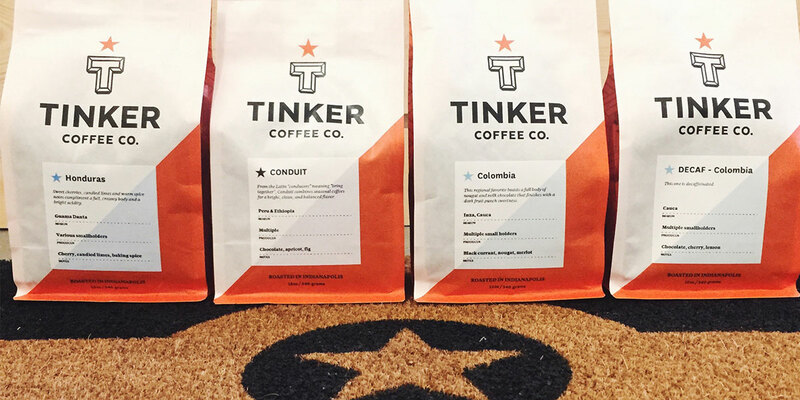 -Like Tinker Coffee, we know you’ve been missing it. Stop in this weekend to pick up a few bags before it’s gone again! What’s that star situation under those coffees you ask? That’s the last city flag doormat we have left from Laura Jane Handmade Co. Will you be the one to get it? New tees are in from local printer Hometown Riot! 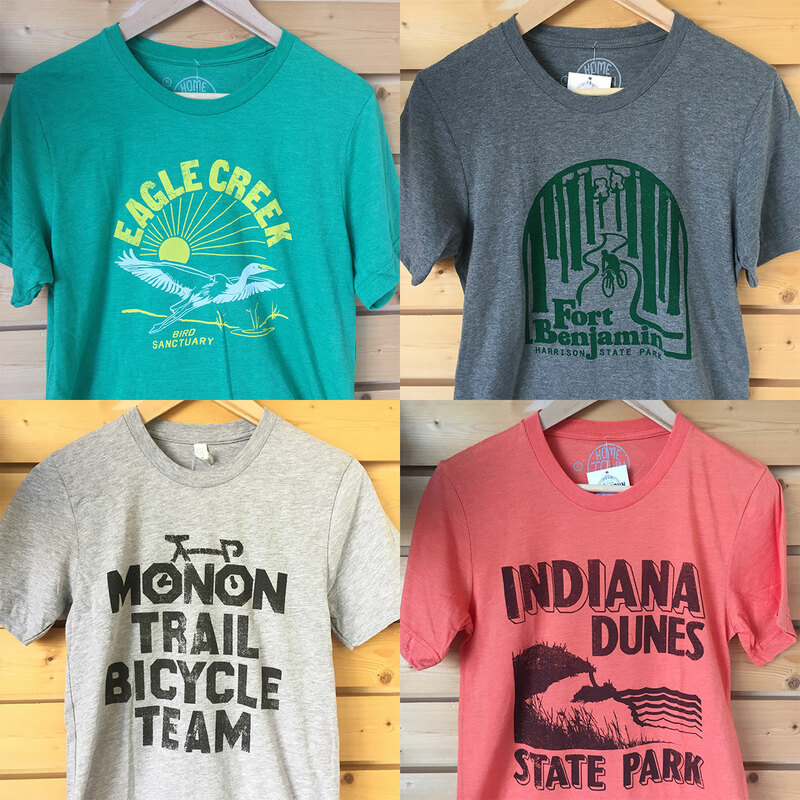 These tees are unlike any others around the city and we love the shout outs to our city and state parks! Speaking of… we’re so ready for a trip to the Dunes. 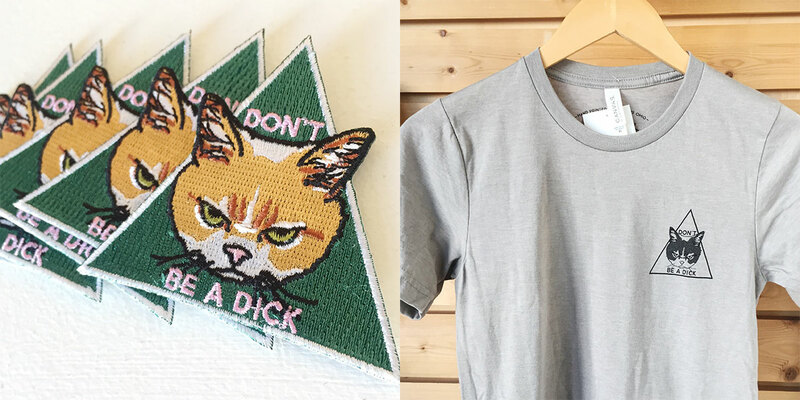 Patches and tees with encouragement from a grumpy cat by Alison Rose Tees are back! Next time you’re in an uncomfortable situation with a jerk, just point to your patch and walk away. Mic. Drop. Yes, we know we’ve been talking about it since April, but we just want to make sure you have your gift covered for Mom. She deserves the best after all. 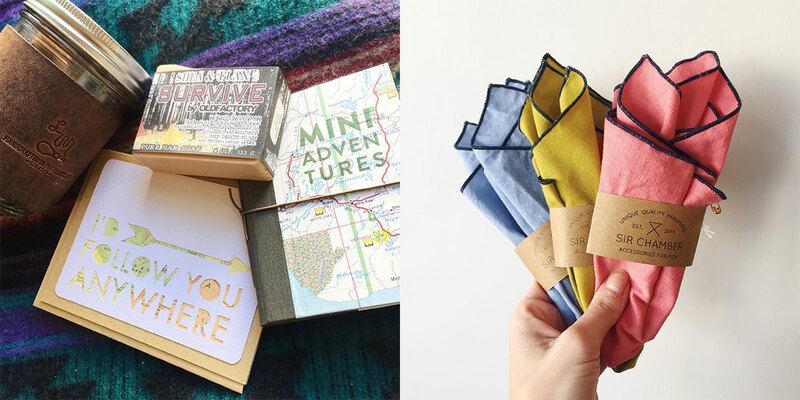 And what’s better than handmade goods? From bath and body to jewelry to housewares and cards (duh), we have all the things for Mom. Stop in this weekend – FREE parking behind our building! 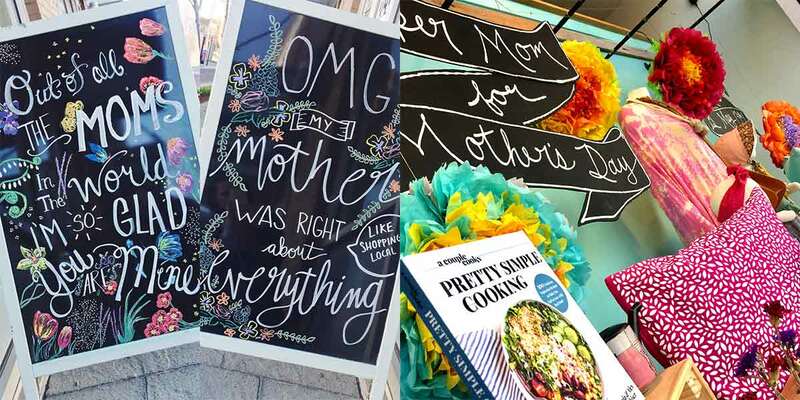 Mother’s Day chalkboard signs and window display by our talented staff! For camping and weddings, that is! From “Survive” soap by Old Factory Soap Co. to leather handled travel mugs from LM Products, we’ve got your stylish and functional gear for those nights by the fire. And for dancing, champagne-filled nights, we have handmade pocket squares, ties, bowties, and even garters for the bride! 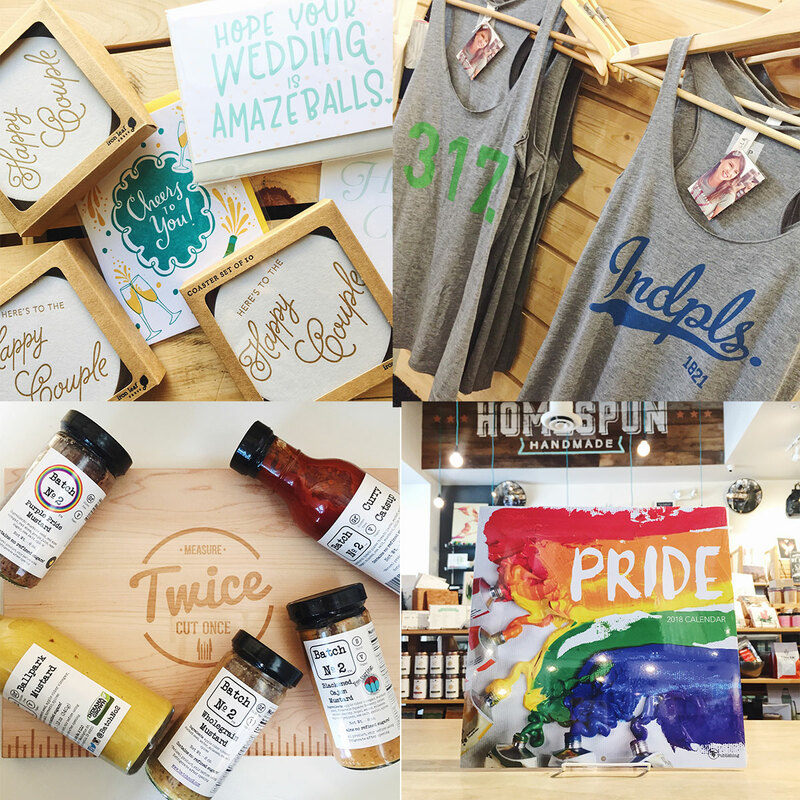 We’re also pros at helping brides and grooms pick out wedding party gifts! 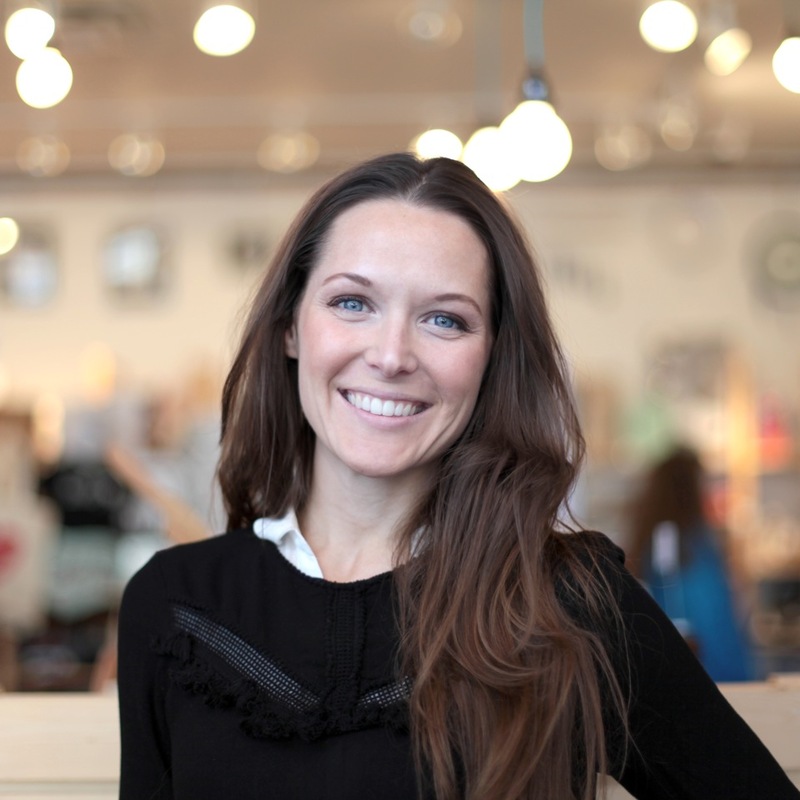 Feel free to ask our staff to be your personal shopper anytime! Have a happy, handmade weekend and we’ll see you soon!